Cypress Hill returned to serve as the musical guest for Tuesday night’s (Jan. 29) episode of Jimmy Kimmel Live!. The California-bred super group hit the stage to perform the funky “Crazy” and “Band of Gypsies.” The pair of tracks originally landed on Hill’s ninth studio LP, Elephants on Acid, which released back in September 2018. Hip-hop veterans B-Real and Sen Dog held down the fort setting the tone for the psychedelic performance. “Crazy” actually saw a female artist in the mix, as the crew enlisted Brevi for the special assist. Ex-Beastie Boys member Mixmaster Mike, who joined Cypress last April, was also on hand getting busy behind the boards. 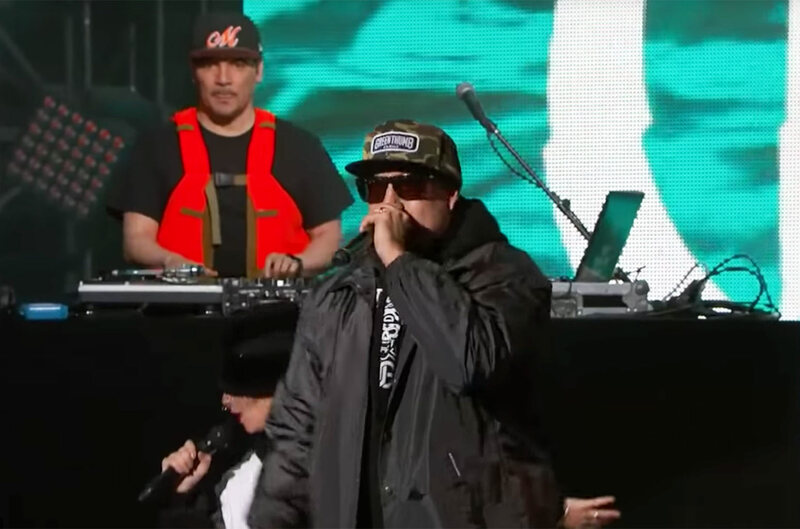 Watch Cypress Hill perform both “Crazy” and “Band of Gypsies” below.